What Readers Are Saying About Stranger or Friend. 1. Part murder mystery, part psychological suspense, ‘Stranger or Friend’ is a well-told story of one woman’s struggle to make sense of the forces arrayed against her. The mystery begins when her best friend is murdered not long before Zoe’s return to her Wyoming hometown. The psychological element is Zoe’s journey back to the place and forces that molded her into the woman she’s become. The stranger or friend of the title refers in part to the identity of Lori’s murderer, but also to how she came to be a stranger to herself, and to those around her. The only caveat in the novel is that in her search for answers Zoe follows up on a few too many leads, and some in too much detail. The Act 3 climax brings the mystery to a satisfying resolution, but it too would be stronger if events were accelerated. That aside, the writing effectively evokes the dark, slightly off-balance tone of menace, confusion, and distrust. This tone is present in her discomfort in the too-open Wyoming landscape, in the friends and strangers living there, and especially in the crime that turns her life upside-down. The many varied characters are all clearly drawn; they speak and act differently, revealing something of their personality. ‘Stranger or Friend’ makes for an exceptional and entertaining read. It brings you a hero you’ll care about, and tells a story that will keep you guessing until the end. 2. I do my reading in bed each night before sleep, and I can say I happily lost many hours of sleep while reading Stranger or Friend. I say “happily” because this is a first-rate, suspenseful murder mystery. Not only is it a page-turner, but the descriptions, characterizations, and tone of the book are of literary quality. The main character, Zoe, returns to her childhood home “for her final visit” to help her ailing mother only to learn that her best friend has been murdered. The mystery and suspense start on the first page and move deep into the story involving a cast of suspicious characters and dangerous situations that affect not only Zoe, but her mother and neighbors as well. The twists and turns lead to the surprising conclusion and revelation of who the murderer is and why he or she killed Zoe’s friend. For readers of the mystery, suspense, and thriller genres, I highly recommend Stranger or Friend. 3. Lawyer Zoe Sinclair’s mother is ill and she leaves Los Angeles to go to Pine Vale, Wyoming to care for her. Though Pine Vale is her hometown, Zoe feels as though she’s a stranger in a strange land as though everyone treats her as if she were a foreigner. The next thing she knows, she finds out that her old hometown best friend, Lori, has been brutally murdered. Lori seems to have no enemies and no motive for her murder is apparent. Zoe feels she must get to the bottom of this. This includes a mix of an inept, bumbling small town Sheriff, an arrogant detective, and a mentally ill neighbor that add to the intrigue and tension of the story. The reader is tantalized by various subtle clues, including mysterious entries in Lori’s diary, the wanderings of the mentally ill neighbor, and records of a medical visit in Los Angeles near where Zoe worked, and an ominous red car that keeps appearing. Zoe is swamped with the tension and turmoil of her mother’s illness as well as a grit and determination to solve the mystery. Even being violently assaulted does not deter her. The recurring theme is reflected in the title of strangers in a strange land and attitudes that others have toward outsiders. The author is originally from Romania and emigrated to the United States and one wonders how much of the attitudes in the fiction reflect her life’s experience. The ending has an intriguing surprise twist. All in all, good moving read. 4. In Silvia Villalobos’s novel Stranger or Friend, the suspense starts on the first page as Zoe Sinclair hears distant shrieks coming from the woods. Zoe, a thirty-something Los Angeles lawyer, has just returned to her Wyoming hometown, Pine Vale, population 250. Her mother, Rosemary, has heart problems and Zoe plans to care for her while continuing to work by computer. How could anyone murder Lori Green in slow, idyllic Pine View? Sheriff Nolan is working on the case. Zoe also starts investigating it, her legal mind shifting through possible suspects. What about Nick, the emotionally disturbed son of the Herod family next door? Lori had been trying to help someone who needed counseling. Maybe she was counseling Nick and in the process offended him somehow or did something he misinterpreted as a threat. Or what about Lori’s boyfriend, Corey, a man Zoe instinctively dislikes? Even Sheriff Nolan isn’t above suspicion. What’s the answer to that question? What’s the solution to Lori’s murder? Answers come but not until after Zoe is attacked by a mystery man in the woods and Lori’s boyfriend, Corey, is murdered. The author keeps us guessing right to the end. Along the way, her apt appeals to our senses make us feel we’re right there with Zoe. 5. I read this novel as an ARC, with the understanding of giving an honest review. The reader goes into the intense, personal thoughts of Zoe, while the feisty lawyer visits her home town to take care of her mother. Instead of the expected peace, events unfold that set her senses spinning. Training kicks in and she tries to focus on facts and trust her instincts. The wonderful sense of place in the novel, and the moody cold of winter is only bettered by the weird sounds. We study each character through Zoe’s eyes and go deep into her thoughts with all the doubts, questions and fears that face her as the mystery of her friend’s death unfolds. She doubts her friends and even kind-hearted strangers. Superbly written, the plot gripped me and held me to the stunning conclusion. 6. 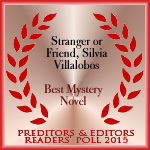 Stranger or Friend by Silvia Villalobos is a good mystery that will have you guessing until the very end, but it’s the quality of the writing that made this a standout for me. While the murder mystery kept this reader turning the page, the depth of the characters had me captivated. Ms. Villalobos gives the reader much to think about in this tale. The threads of frustrating small town politics, the struggles presented by an aging parent, and the inherit regrets one faces during the loss of a loved one make this story so much than a Who-done-it mystery. Ms. Villalobos’ keen eye for rich detail makes Stranger or Friend a recommended read. You won’t be disappointed. 7. Silvia Villalobos’ Stranger or Friend is in many ways one of those “you can’t go home again” tales in which the protagonist returns to her small home town from the city and finds she no longer belongs. Especially when it comes to solving a crime that reflects on the whole community of Pine Vale, Wyoming. L.A. Lawyer Zoe Sinclair’s mother has a bad heart and is refusing surgery, opting to die at home rather than in a hospital hooked up to tubes and machines. Zoe figures to change her mind or at least act as caretaker for as long as necessary. A big enough crisis for anyone. But it turns out that’s just the beginning. 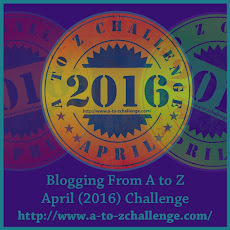 Zoe’s best friend is murdered–strangled and stripped naked. The victim, Lori, leaves behind some clues and some behavior-changes that might or might not point to the killer, but no one can put them together. The sheriff has neither the intellectual nor other tools to solve the crime, but he resists any attempt at outside help. This distrust of “foreigners” is pervasive to the residents of Pine Vale and is a central to the action of Stranger or Friend. Zoe, having spent years building a career in L.A., has suddenly become one of the “other,” as subject to community distrust as the truly foreign itinerant workers the people fear. The deeper Zoe gets involved, the more danger she’s in, the more she feels she can’t trust anyone. Even the kindly family doctor or her lover. Before long, she feels completely alone, estranged from everyone. When a second body turns up, things really get dicey. I did find that some of the conversation turned “writerly” from time to time–more like an expository summary that doesn’t have the ring of true dialogue, but that is a small flaw compared to the fact that Villalobos has created an atmosphere of small town hostility and suspicion worthy of Shirley Jackson’s “The Lottery.” An exciting and suspenseful read. I sure didn’t guess the perp, and I’ll bet you don’t either. 8. A truly scary book. Excellent writing. Carried right on through at a good fast clip, and a surprise ending. Also the issue of forgiveness at the very end. A nice final touch. 9. What an incredible story. Usually, I can guess who the bad guy is in mysteries. NOT this time. Plus, the book presented an interesting message… “How much DO you know about your friends? Are they really your friend, who would not hurt you? Can you trust your friend more than a stranger?” You will have to read the book to find out. I LOVED this story. 10. The author managed to hit two birds with one stone. An interesting story and some great messages. I felt I could speak with the heroine. I came across secrets, love, hate, anger, disappointment, betrayal…I liked the characters and the heroine’s mother, as well as the descriptive writing, the rich vocabulary and the beautiful scenes. I enjoyed it and I look forward to reading her next novel. 11. I received this book via a website giveaway, and once I started reading, I was glad I’d gotten it. This well written story makes the reader speculate more than once on who committed the crimes. Zoe, the main character, returns from Los Angeles to help her mother through a serious illness. From the day of her arrival, terrible things start to occur, making it hard for her to focus on her mother’s needs. Lots of intrigue and excitement throughout the book. Great read. Great story. Great job. 12. A new voice in mysteries, Silvia Villalobos, is sure to hit home with suspense-loving readers. Villalobos artistically creates a well-rounded and all too real cast of characters with the kind of prejudice and harsh judgment that hide in every heart. Stranger or Friend will tote readers through a haunting tale of whodunit when big city lawyer Zoe Sinclair revisits her childhood home in a small town. She aims only to care for her ailing mother. What she doesn’t expect to find is a dead best friend and a trail of cues and near misses she has no choice but to follow, even if it means putting herself in the same danger that befell her best friend. Who can she trust, or can she really trust anyone? Is the man she’s falling in love with trustworthy? With sharp dialogue and a keen eye on what it means to be human, Villalobos brings a different world to life in the rawest form while shaking out the pieces of a mystery readers will love attempting to unveil.